Years ago I was assigned a new prayer rule by my spiritual father, the reading of the daily selections of the Psalms, the kathismata. At the time, we lived next door to the church and I would dutifully read or chant the Psalms morning and evening in the temple. Somewhere along the way my rule was either changed, or I lapsed; I cannot remember which. Passing years saw me fondly recall that discipline, but it was only upon reading Donald Sheehan’s book, The Grace of Incorruption, that I once again fell in love with God in the Psalms. I am in Donato’s debt. A happy coincidence occurred when, having just finished The Grace of Incorruption, I attended Camp St Raphael, our annual church youth camp, in Oklahoma. The other priest serving that week, Fr Mark Haas and I had done this stint together a number of times in the past. Upon retiring the first night, we noticed that each of us had brought just two books to camp – the same two books: The Psalter and the new book by Metropolitan Hierotheos (Vlachos), “I Know A Man in Christ” – Elder Sophrony the Hesychast and Theologian. I related to Fr Mark how I had just finished The Grace of Incorruption which had rekindled my habit of the daily Psalm readings. Each evening, and in spare time, found each of us plowing through one or other of these works. At dawn on April 4 , I was all of a sudden awakened, fully and completely. What awoke me were these words sounding in my mind: Lord Jesus Christ, Son of God, have mercy on me, a sinner. For an instant I thought someone had spoke aloud, but then I realized the words were in me. I sat up, fresh and alert. The words repeated themselves. And then repeated again. I looked over at the window, and the first light of dawn was coming in (pp.6-7). He goes on, to beautiful and moving effect, to relate his journey with this great gift, the Jesus Prayer. What ties all of these happenings together is the pursuit, for lack of a better word, of stillness. 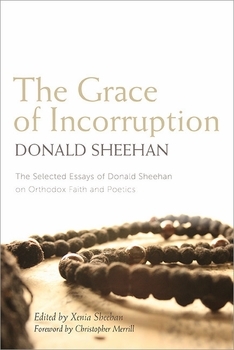 “St Isaac the Syrian, the seventh-century Orthodox saint whose writings on the way of stillness have shaped the Orthodox understanding of prayer for thirteen centuries, says: ‘If you love repentance, love stillness also,’ adding that stillness is ‘the mother of repentance’” (p.84). 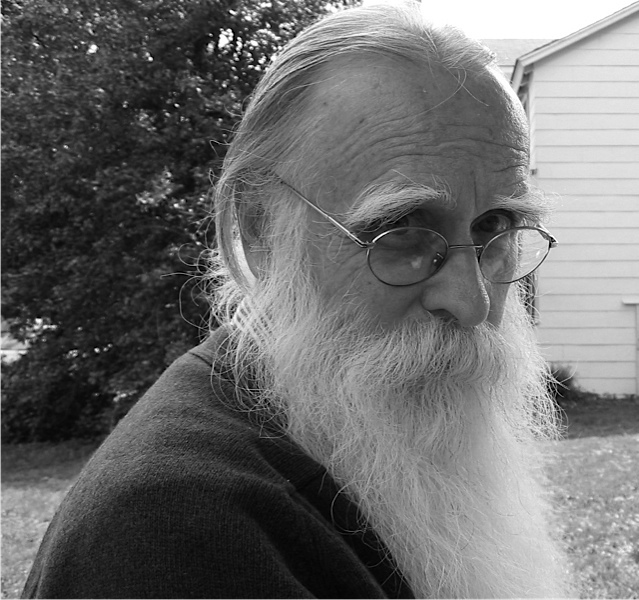 For Isaac – and, indeed, for all Eastern Orthodox ascetic teaching – stillness can be defined as the voluntary practice of separating oneself from every anxiety, both one’s own and others’. Now as one astute commentator on Isaac says: “The state of stillness of mind is not acquired by human effort alone but is a gift.” Isaac says: “No one is so stupid as to want to find this by means of struggle and the strength of his own will, for this is the gift of the revelation to the intellect, and it is not … a matter of the will.” And yet – here is the key – you must be attentive, even expectant, that the gift of stillness truly exists in God’s hands and that He greatly wishes to give it to you. You cannot will the gift of stillness. But you must choose actively to await its giving (p.109). In the entire 176 lines of this immense psalm, only the first four lines do not have both “I” and “thou” actively present: for this grace of relationship between the human and the divine is the whole poem’s clear pattern. The significance of this pattern is, at every moment, equally clear: the pattern teaches us the way of stillness. The way in which the psalm accomplishes this can best be suggested by noting this: what instantly unmakes in us any practice of stillness we may attempt is the way our minds cling to – and incessantly replay – our resentments and angers and grievances, imagined or real. The pattern of relationship that every stanza of the twenty-two in this poem sustains, directly teaches the way to surrender our mind’s clinging to its angers and resentments. And once again: we can enter into that dance of blessedness only when we voluntarily choose to walk in the law of the Lord, to search more deeply into His testimonies, and to seek Him with our whole heart (p.111). The fallen reason thus breaks open. Yet once so broken – and it is broken in the action of every psalm – the mind of David can then be lyricized by God – enlarged, made new, illumined, by David’s love for God and God’s for him. Now, amidst the very brokenness, he can begin to sing that wholeness and healing which God himself is singing: “O Lord, thou shalt open my lips and my mouth shall declare thy praise” (Ps.50:15). By singing the psalm, the Davidic mind heals itself and all the world (p.125). Diapsalma is a pause which occurs suddenly in the midst of the singing of a psalm in order to receive an additional thought which is being introduced by God. Or, one might rather define it as follows. Diapsalma is a teaching from the Spirit which occurs in a mysterious manner in the soul when the attention given to this (new) though impedes the continuity of the song” (p.151). One other part of my experience in psalmic prayer is also, I think, worth mentioning here. To pray the Psalms regularly is to be attached unceasingly. And the effects of ceaseless demonic attack are flatness of speech and restlessness of mind and a consequent vanishing of sweetness of vision and the disappearance of any or all dynamis (power) … If I try to battle directly the attack, then I immediately open the door to mental restlessness; if I try simply to lie low, then spiritual flatness instantly ensues. The only hope I have in such moments (and they are frequent indeed) is to stay as attentive as I can to the psalm’s actual works as they are occurring to me. For psalmic dynamis – the power of the Psalms – is coming not at all from me but solely from the poems themselves (p.154). In making our approach to the subject of psalmic poetics, three points are important at the outset. First, psalmic poetics are aural and oral – in the ear and mouth – sung (chanted), not silently read. Second, psalmic poetics are communal, holding meaning for the entire Israelite community. Third, psalmic poetics are actions of blessedness, actions that secure whole communities from demonic human violence …” (p.120). That is to say, if I may, that the daily recitation of the Psalms, like the Jesus Prayer, is a way to stillness – as in, “Be still and know that I am God” (Ps.45). The Psalter According to the Seventy, Holy Transfiguration Monastery, Boston – 2007. Fr Sophrony is well known for his and his monastery’s practice of the Jesus Prayer.